While the engineers and developers from the ELEPHONE brand are currently pretty much busy and tied working on the new generation of their phones, the marketing department has a free reign with promo events. 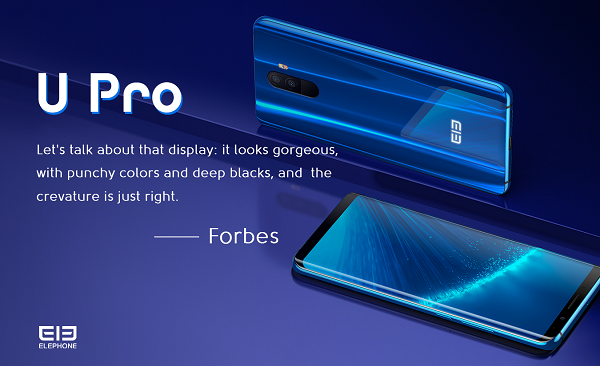 And the upcoming one is really a juicy one, because from April 8th till April 12th you will be able to get their former flagship model ELEPHONE U Pro for a super sale price only $199.99. That’s pretty much historically low price point for this great looking phone. 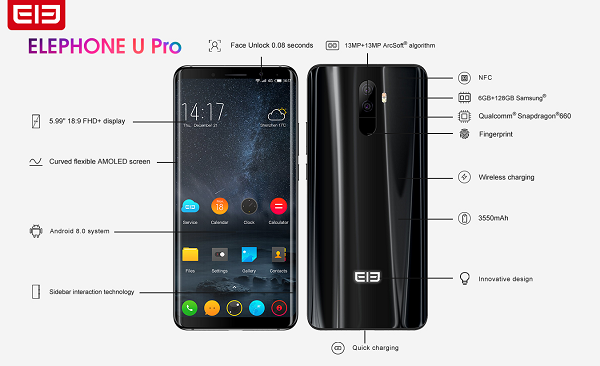 ELEPHONE U Pro is probably still the most powerful and best equipped phone model from this chinese brand and can offer quite a lot for the money. For example it has 5,99-inch curved AMOLED 18:9 screen with FHD+ resolution, Snapdragon 660 processor, 6 GB RAM, 128 GB of internal storage, 13MP+13MP RGB+monochromatic dual rear cameras with ArcSoft algorithm, 8MP selfie shooter 3550 mAh battery capacity with QC3.0 quick charging support, rear fingeprint scanner, Face Unlock function and Andrid 8.0 Oreo system. As mentioned before the ELEPHONE U Pro is going to be available in limited quantities for just $199.99 on the Coolicool store through April 8th to April 12th. You will get to this price using the special discount coupon BGUPro6. You can find more information about this former brand flagship on their official website so check it out.